ROMANCE – Are you blinded by LOVE? The early days of a romance are undoubtedly the best – chemistry and hormones are hard at work and the excitement is exhilarating. High on flattery and euphoric in the good fortune of attracting such a wonderful person – you’re in LOVE. Love is nature’s way of seducing us into reproduction! In lucid moments, we ask our friends, “What do you think about him/her?” Unfortunately, is often punctuated with “Isn’t he/she wonderful?” You need a completely objective opinion. It used to be that the partner of your dreams lived nearby – you knew their family, their other friends and most importantly, you knew the person before falling for them romantically. These days, it is much more likely that you will meet your new partner at your workplace or while socializing. There is no way to judge someone’s temperament when they are on their best behavior in a social setting. It may be months before their true character emerges – will it be too late? Will you already be in love and blind to their character flaws? Will your new partner be so love with you that he/she is unwilling to end the relationship? a reliable and loving romantic partner. Just as it is possible to hide your real self in a social setting, it is impossible to significantly alter the way you write. Handwriting is as much part of your identity as your fingerprints. So before becoming too involved why not have his/her handwriting analyzed by a professional handwriting expert. With the help of handwriting analysis, you can have that all-important objective insight into your beloved’s personality, allowing you to relax and enjoy being in love. Compatability report for Prince Charles & Princess Diana. In a lot of ways they were very different. They both felt emotional experiences deeply but faced with emotional situations Prince Charles being very reserved suppressed his feelings. Princess Diana changed back and forth, between keeping her feelings in and letting them out. Princess Diana was generous to her friends and Prince Charles is fairly thrifty. Prince Charles is a sharp, critical thinker whereas Diana took her time building one fact upon another before reaching a conclusion. 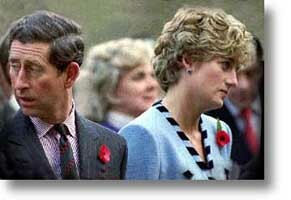 Prince Charles has the ability to concentrate, this is not indicated for Diana. Prince Charles is strong in logic but short on intuition, whereas, Diana was intuitive and inventive. 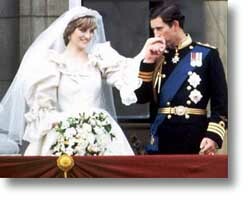 Watch this space for More … about the handwriting and relationship of Prince Charles and Princess Diana. Good analysis of Price & Princess…!